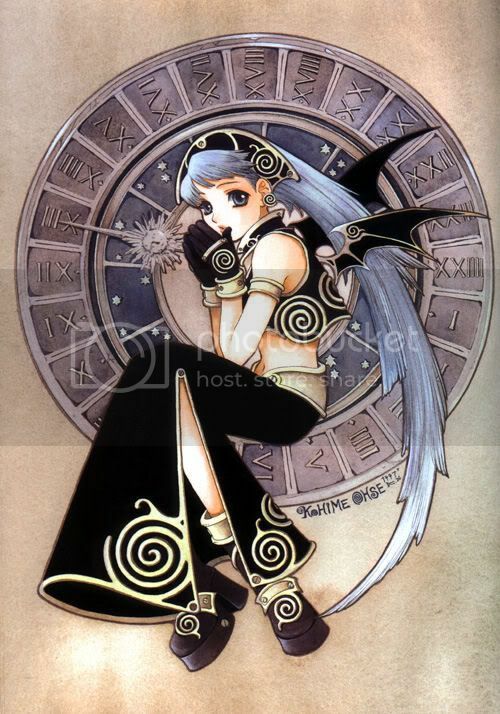 That figure is based off of an illustration found in an artbook of hers called “Astrolabe”, which is a few years old. Interesting- hope to see her in color soon. Omg! I have tons of her work saved on my comp! I love them! I can’t believe this is going to be a fig. I’m so excited! The figure’s facial expression and pose are pretty cool and, to be honest, I’d consider buying it if it only came as it’s pictured now.